This was a bit weirder than I like to read, hence the rating. It was a bit creepy the way in which the Gold appeared, and grew. However, the realisim of the tale, Amanda's older sister's reaction to taking care of Amanda after their mother's death is what captivated me. It was clear Amanda needed love, as their dad was away and her sister was a bully within their own home, without anyone telling her off for mistreating Amanda. 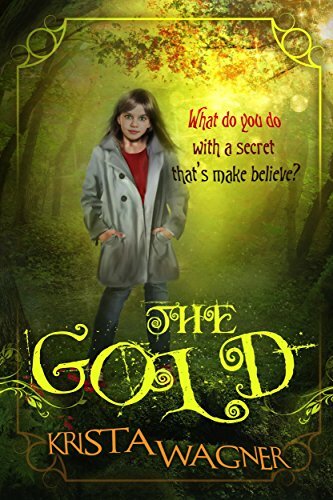 The magic and intrigue of The Gold helped Amanda get through being unpopular at school, and as the Gold grew so too did her confidence. Stuff happens, which temporarily changes how Amanda feels towards The Gold, but then an event reunites them with a bond that doesn't break. Her sister manages to mellow out by the end, with a scene that had me reaching for a tissue. There is a small amout of religious talk, which surprised me by not being a bigger part of what happens to The Gold, but it helped Amanda a little in figuring out life. Full of human emotions and relationships, I recommend it as a read that will make you think about life.